What to wear all autumn and winter. 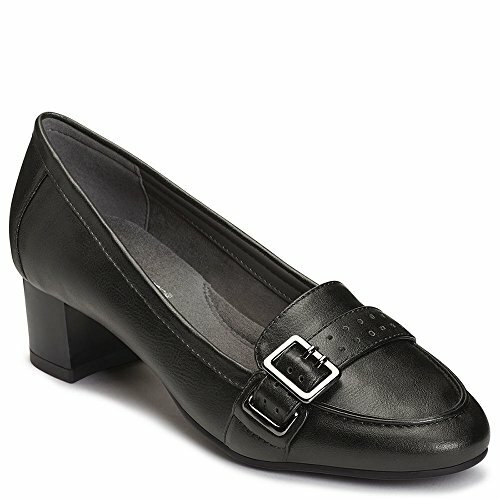 Front strap with broguing and a decorative metal buckle give this tailored dress shoe a flair that works in and out of the office. Mid-height block heel, memory foam footbed and heel rest technology designed to look great and feel that way too. Slip on. 1¾” stacked heel.